Nom botanique Salvia sclarea L.
Sage essential oil (5 ml) + Roman chamomile essential oil (1 ml) + Rosemary verbenone essential oil (organic) (1 ml) + Lavender essential oil (1 ml) . 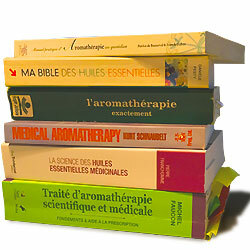 In a 30-ml drop dispensing bottle (amber glass), pour each of these essential oils. Soak a sterile compress with 2 to 3 drops of this mixture. Apply to affected areas morning and evening. Sage essential oil (2 ml) + Anise essential oil (organic) (1 ml) + Evening Primrose Seed Oil (organic) (10 ml) . Mix all these ingredients. Apply 4 to 5 drops on the lower abdomen and massage in circular motions morning and evening for 21 days. Take a break for a week and resume. 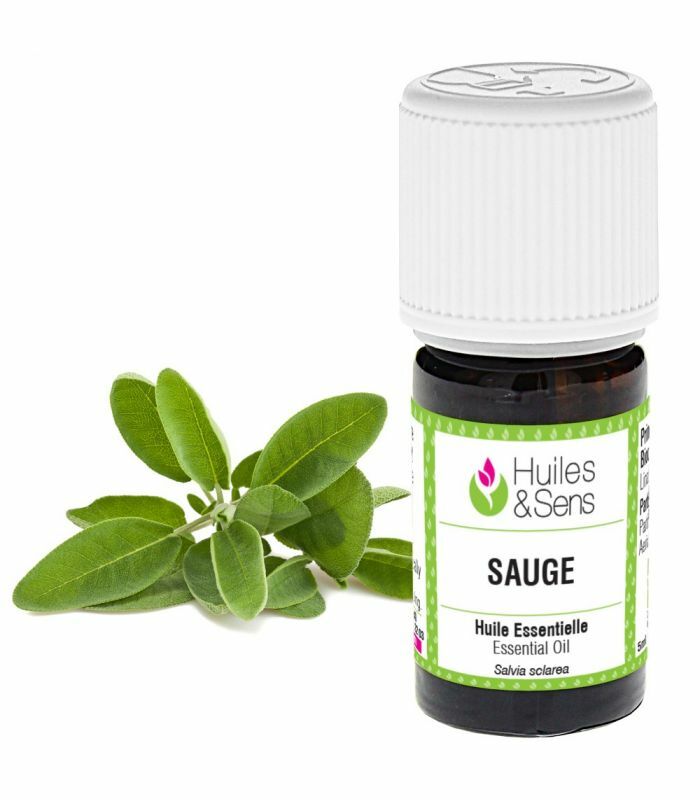 Sage essential oil (1 ml) + Basil exotic essential oil (organic) (1 ml) + thyme thymol essential oil (organic) (1 ml) + (1 ml) + Peppermint essential oil (1 ml) + Clove bud essential oil (1 ml) + (1 bag) . Mix the essential oils in a 10 ml bottle. Pour a drop of synergy on a tablet and swallow (one in the morning one in the evening). Duration: 3 to 4 weeks. Sage essential oil (2 ml) + Helichrysum essential oil (Italian everlasting) (2 ml) + Mastic essential oil (organic) (2 ml) + Mediterranean Cypress essential oil (2 ml) + Calophyllum Oil (organic) (5 ml) . Mix ingredients and massage the lower back from the outside to the inside in a circular motion and then the solar plexus in the same manner. Renew 3x/day for 1 month. Sage essential oil (0.5 ml) + Peppermint essential oil (0.5 ml) + Mediterranean Cypress essential oil (0.5 ml) + Geranium essential oil (0.5 ml) + Field Mint essential oil (0.5 ml) + Aloe Vera Gelly (organic) (100 ml) . Mix these essential oils to 100 ml of aloe vera gel. Apply a dab of this mixture under the armpits after your shower in the morning. Sage essential oil (1 ml) + Sweet Marjoram essential oil (1 ml) . Prepare this lotion in a bottle. Apply twice a day morning and evening in light circular massage of the lower abdomen. Use only a few drops at a time. This lotion is also for irregular mood. Sage essential oil (0.5 ml) + Rosemary verbenone essential oil (organic) (0.5 ml) + Spikenard essential oil (organic) (0.5 ml) + Cadewood essential oil (organic) (0.5 ml) + Rosehip Oil (organic) (25 ml) .